According to Netflix Engineers “ there are many unknown real-production scenarios in which a failure recovery might not work”. Amazon leveraged the “GameDay” exercises that inject real failures like VM failures, power outages into production systems which has been a successful practice. Netflix has employed Chaos Monkey to randomly terminate instances and Latency Monkey to inject response delays in services. Frequently, a root event which has encountered a failed recovery procedure leads to major outages. For example a routine service upgrade that took few servers offline followed by bad routing caused overloaded routing servers causing outage in Gmail in 2009. In this case, the recovery procedure failed to cover an edge case of a bad routing code. 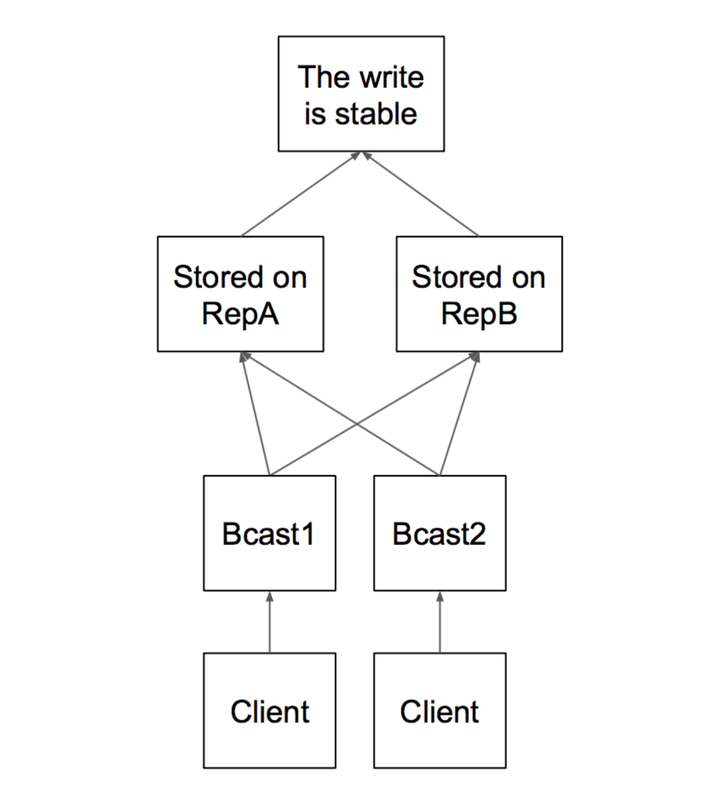 Greedy recovery — instead of sacrificing some availability, procedures try to maintain high availability which leads to outages. Performing failure drills will be able to capture recovery problems.It is almost impossible to test recovery for all possible scenarios, especially for large-scale deployments. Validating the impact of these failures is risky but resiliency remains critical. Any environment below Production doesn’t give opportunities expose all failure conditions all the time. Some occur only above certain load and certain user inputs making it almost impossible to test all potential failures in a pre-production system however good it mimics production system in scale. Failure Injection Techniques have provided successful outcomes in large organizations like Amazon and Netflix. Its not widely adopted by smaller failures as the discipline is still slowly evolving while the cloud adoption is aggressively advancing. In the following sections, we will review a research studies on Failure Injection Testing done by University of Berkeley in collaboration with Netflix. Using the study as a starting point, it will be possible to develop failure injection strategies for various kinds of applications. The scale at which companies like Netflix and large Enterprises operate, some of the fault-tolerant code may not be adequately tested and some error conditions may be present only when running on a large scale. Chaos Engineering evolved to experiment with live traffic build confidence in systems how they withstand turbulent conditions. 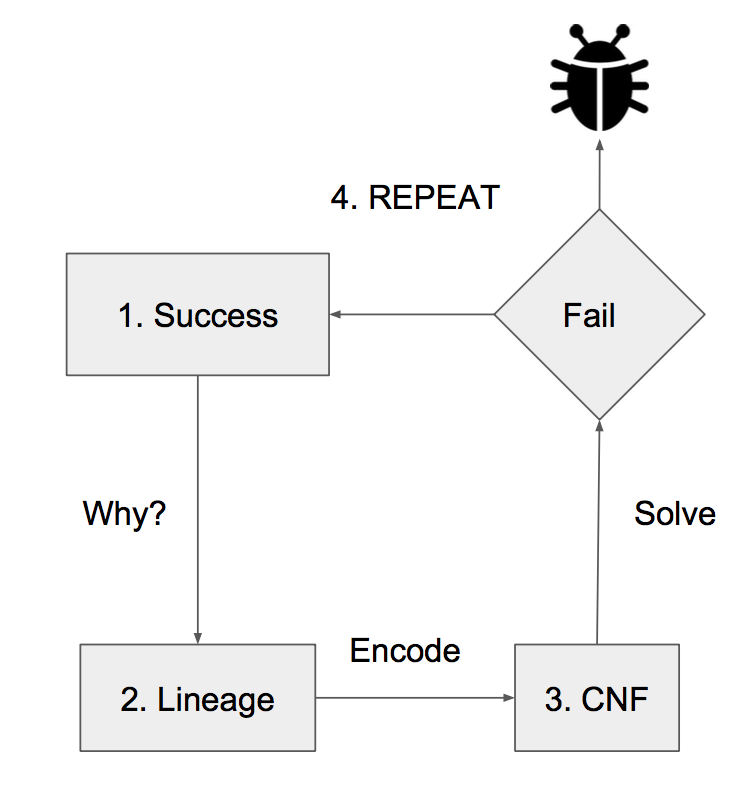 Failures are injected into live systems by Chaos Engineers in a controlled fashion. A violation of the invariants found in the specification. Molly returns the details of the error trace and the faults that drove system into instability. We try to find a boolean formula that will invalidate all alternate computations. The above is a conjunction of all disjunctions of failures in the mathematical formula. System succeeds and indicates the alternative strategy to bring the expected outcome. A new formula should be extracted and solved. A lineage graph is drawn by recursively creating the Boolean formula (CNF), solving the Hypothesis and finding a bug or eventually exhausting all hypothesizes. FIT is a Netflix platform to precisely control which component to fail and which users are impacted. It allows propagation of failures across microservices in a consistent and controlled manner. Let’s review some key terminologies and context diagram. Failure Scope: Defines the potential impact of the failure. It can be a customer impact or a service impact or another attribute and controls the blast radius. 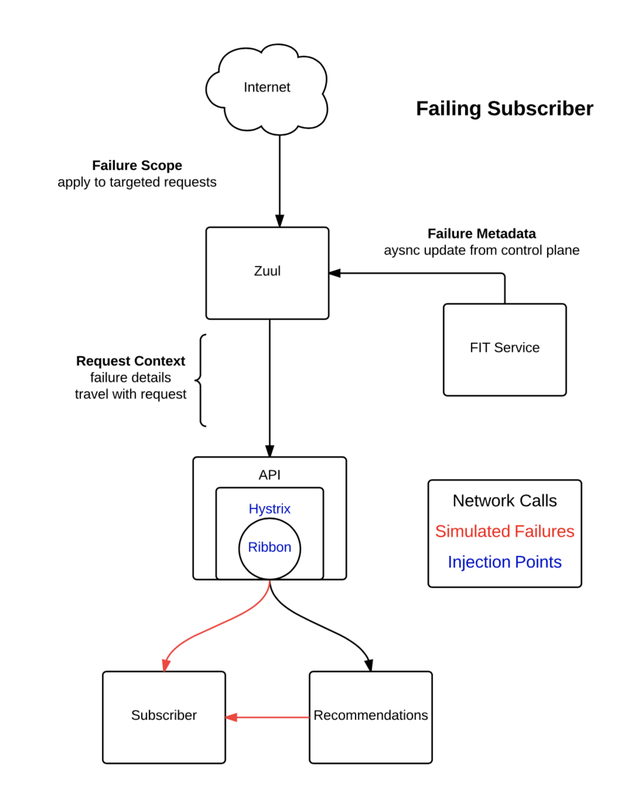 The FIT server pushes failure simulation metadata to a proxy server called Zuul. Requests matching the failure scope are decorated with the metadata. The metadata can be adding latency to a service call or failure of a remote service call. Injection Points: Injection Points provide the hook to inject failures. In the above diagram, there are four Injection Points as described below. Each of these layers interfaces with FIT context and determine if a given request has to be impacted. The failure behavior is implemented in respective layers for example sleep for 500 ms, throw an exception etc..
Failure Scenarios: FIT should know what to fail. Netflix used a tracing system to trace all failure injection points along the path. The accuracy of call graph vs Lineage graph, a trade-off has to be made. Call graphs provide a simple view of all services in the request Path while Lineage graphs provide permutations of various computation steps and data nodes. Some accuracy may need to be sacrificed in order to improve the efficiency of Failure Testing. Defining successful outcome can be challenging. A heterogeneous ecosystem can have different elements as a successful outcome from a record in a table to HTTP return code. Some applications produce a 200 HTTP return code even if the client gets an error. Measuring Success: Capturing right metrics to assess if the requested outcome came. Sometimes, the nature of failure might impact the metric reporting ability, in that case, it will be a bug in reporting. Consistency is key, hence having a rule like only if > 75% of requests result in failure of an induced failure, then it’s valid. This eliminates false positives. Learning Mappings: The call graphs may not show all possibilities. A fallback service might be invoked and might still give a satisfactory outcome. By running LDFI in production, it will continue to uncover new bugs in releases and lurking existing bugs not covered by unexplored request classes. Often it will be difficult to map idealized model with production systems in the real world. LDFI approach successfully approximates Successful outcomes, lineage and replay over real-world services and data structures. It showed that a research prototype can be pushed to production usage. I encourage you to review the exhaustive references and apply the knowledge.